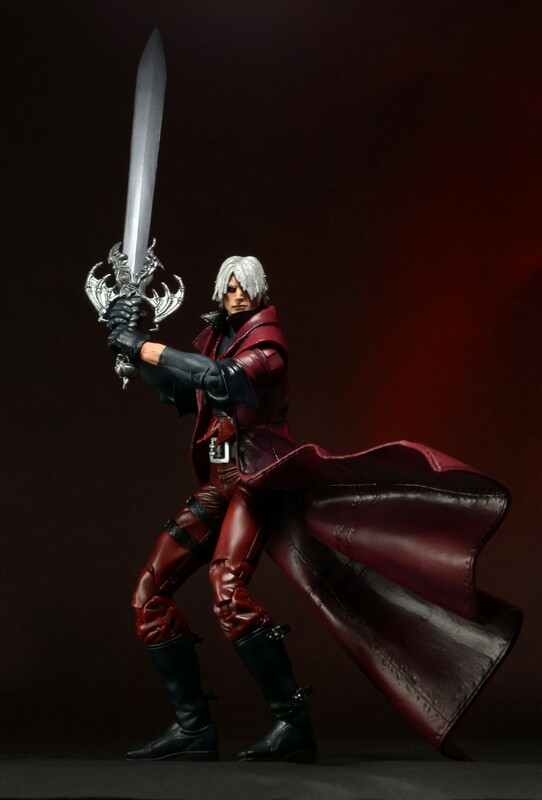 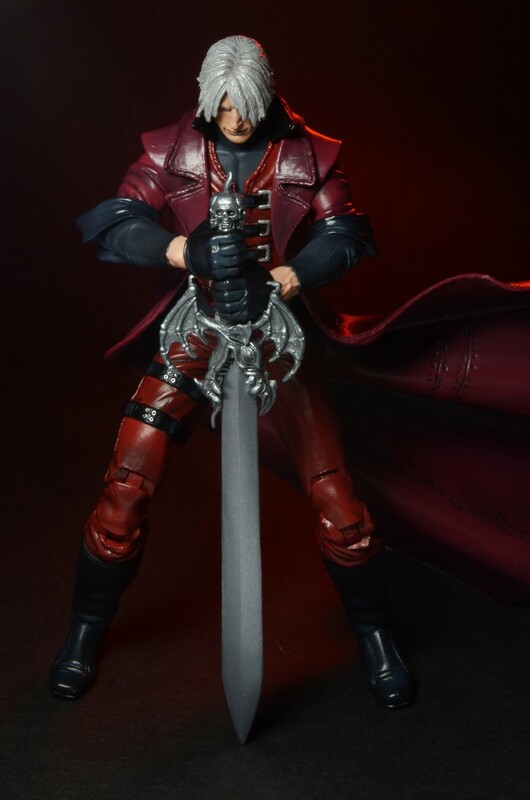 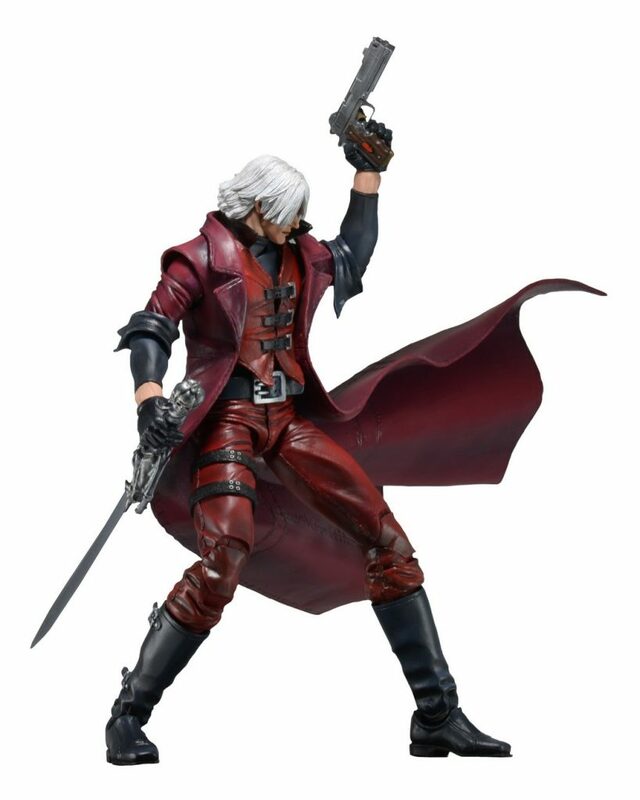 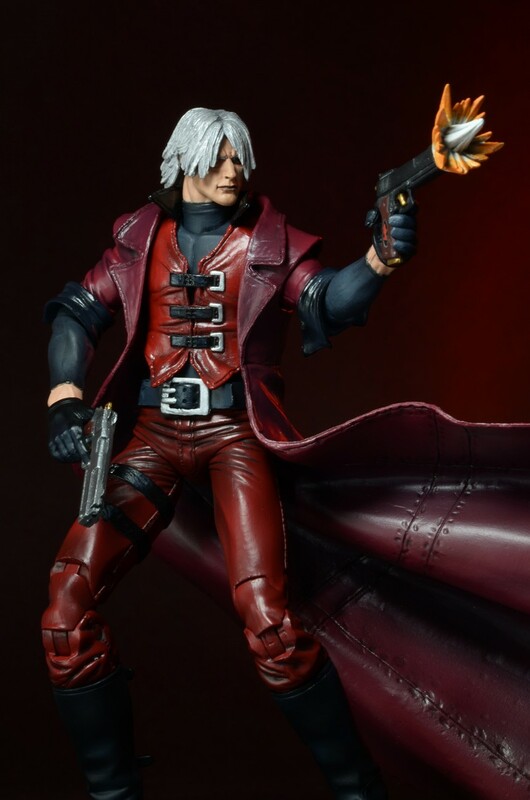 You are here: NECAOnline.com » Blog » Behind The Scenes » Closer Look: Devil May Cry – Ultimate Dante 7″ Action Figure! 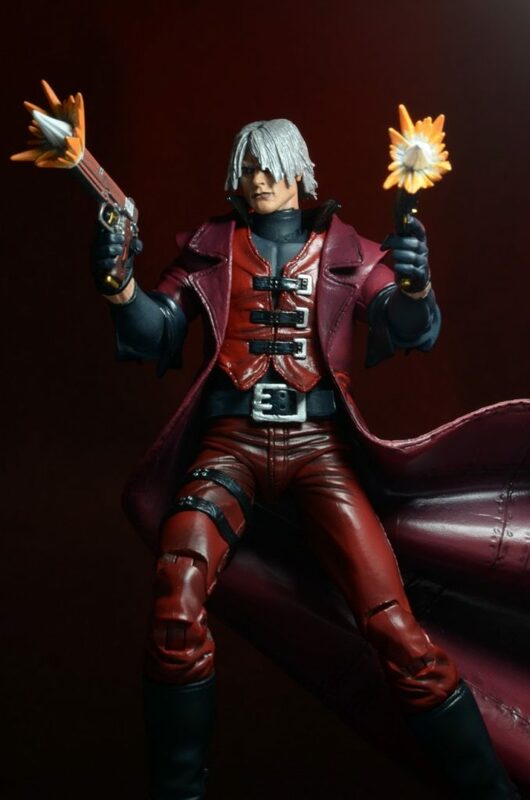 An action-packed photo shoot with Dante! 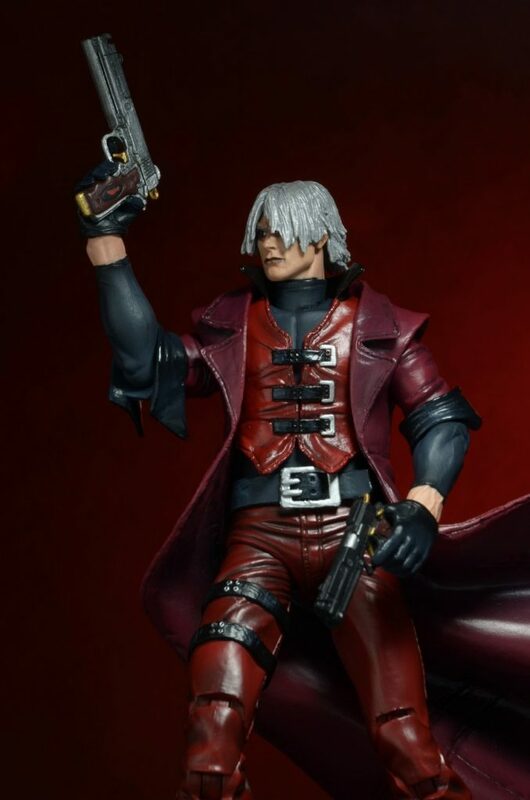 The white-haired demon hunter from Devil May Cry proves he’s got what it takes to take a great photo. 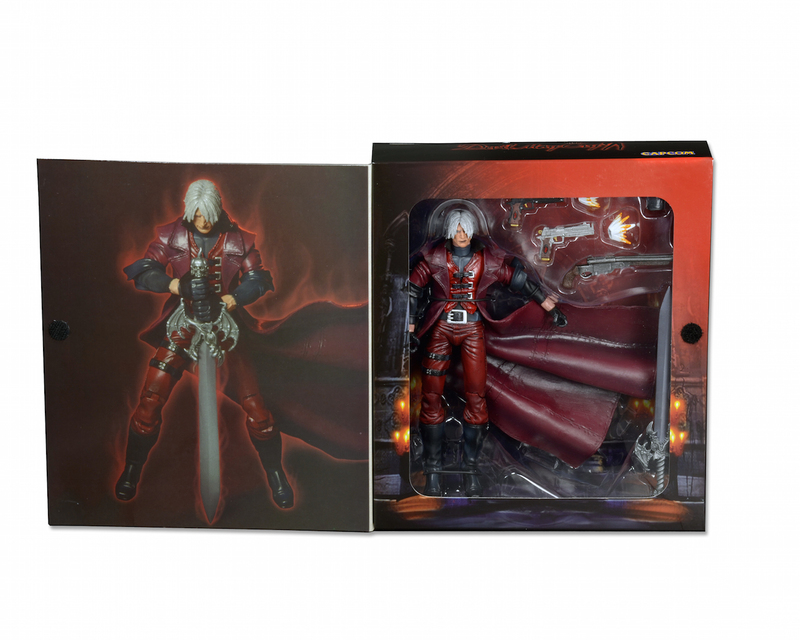 Dante shows off some of his moves from the bestselling video game series below – packaging pictures included! 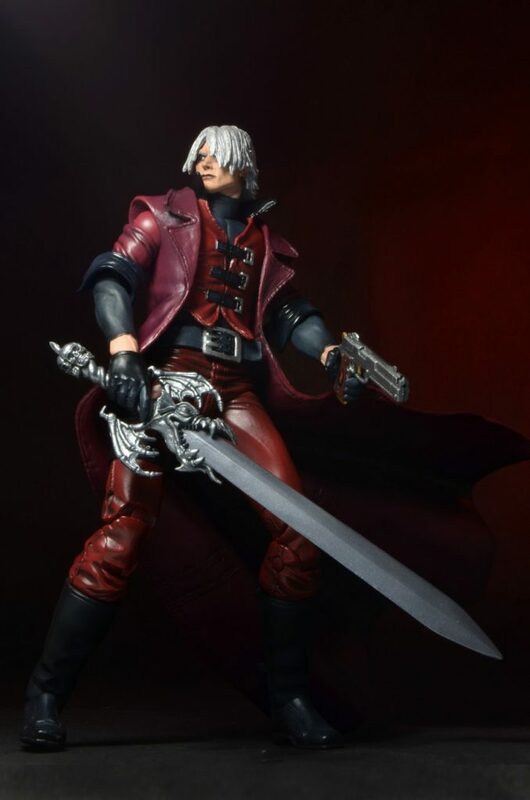 The figure will be shipping to retailers later this month. 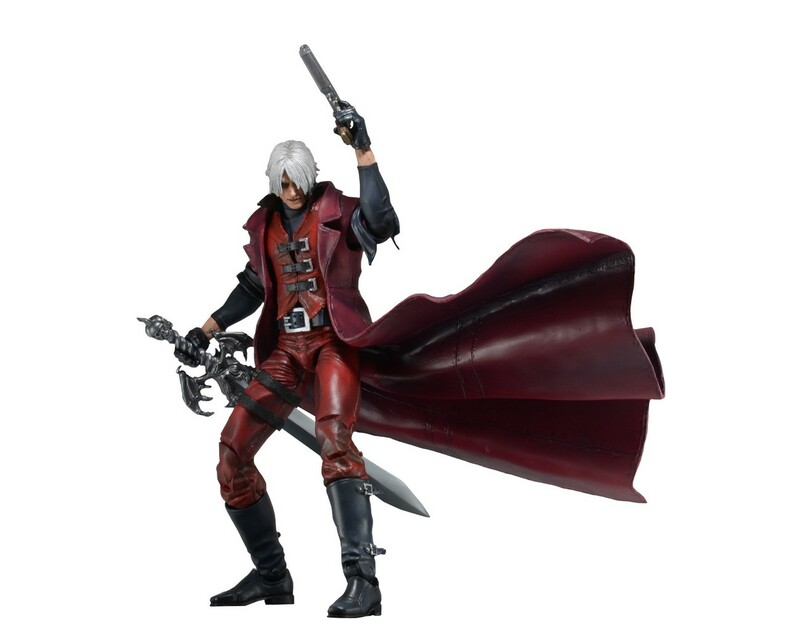 The half-demon demon hunter from Devil May Cry stands nearly 7″ tall, with over 35 points of articulation. 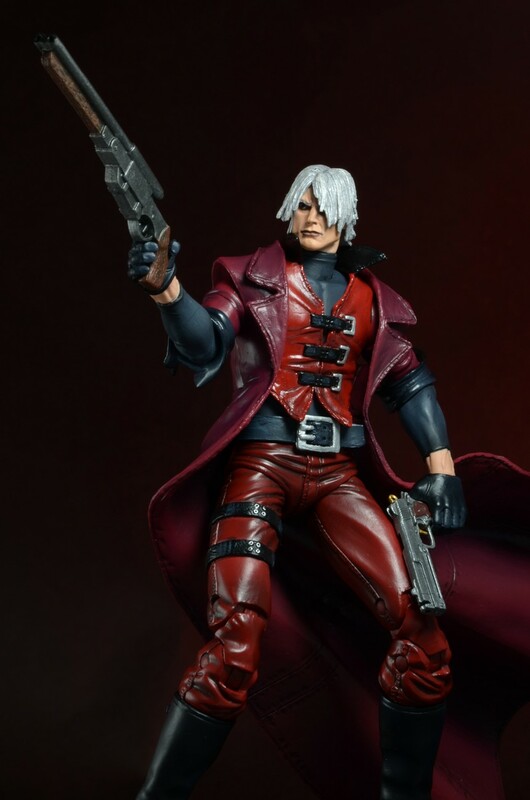 Dante is extra-detailed, down to his trademark trench coat, which features a dynamic, wind-shaped sculpt. 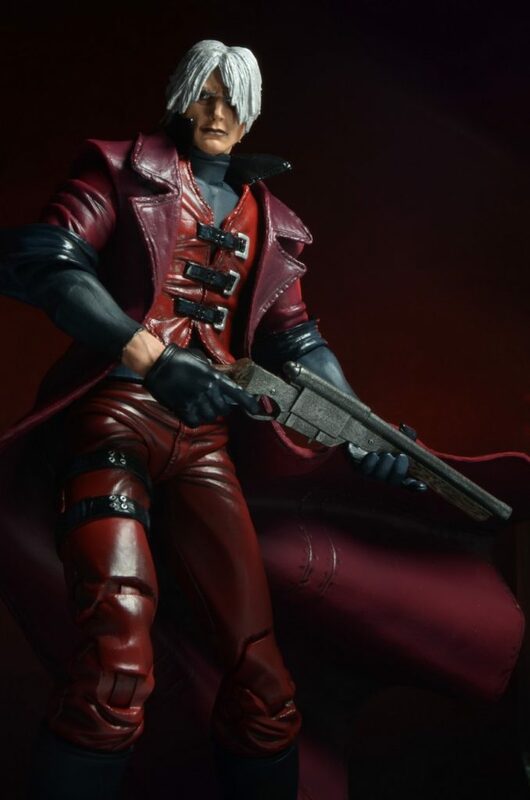 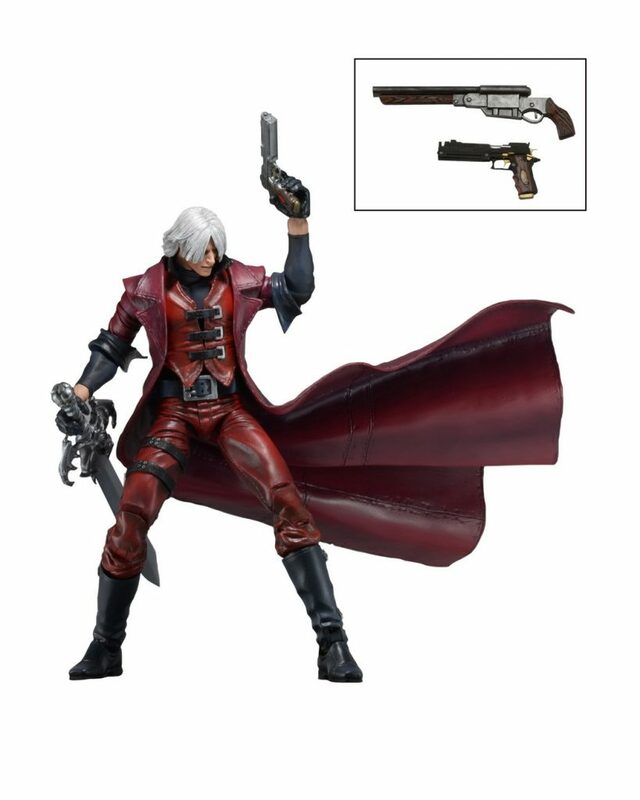 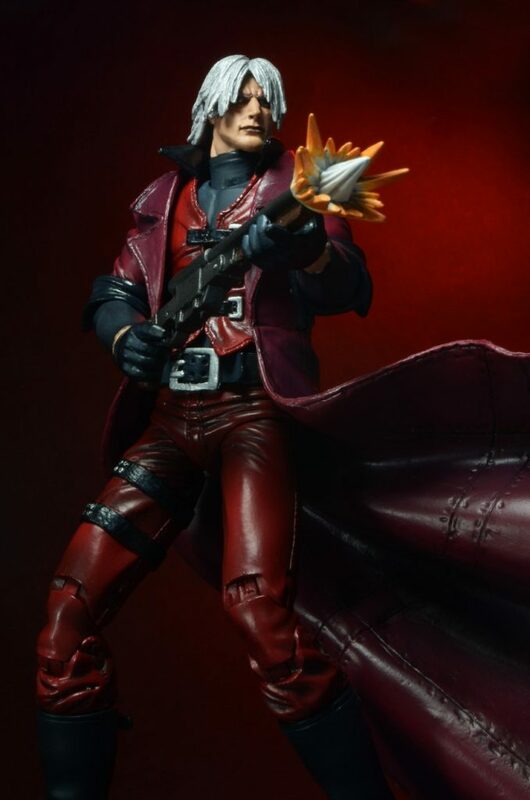 The figure is loaded with accessories, including Ebony and Ivory pistols with removable muzzle bursts, Dante’s sword Alastor, shotgun, and interchangeable hands. 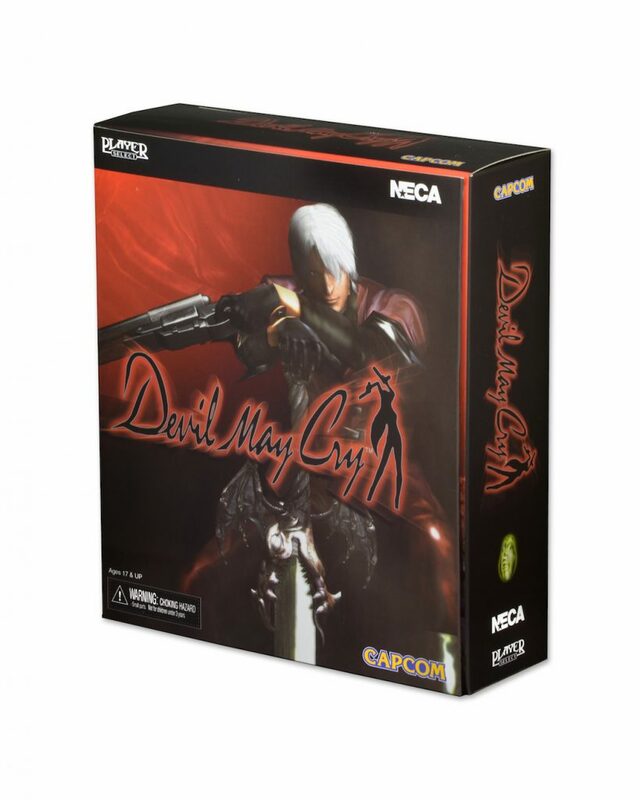 Comes in deluxe window box packaging with opening flap that recreates the look of the original video game box. 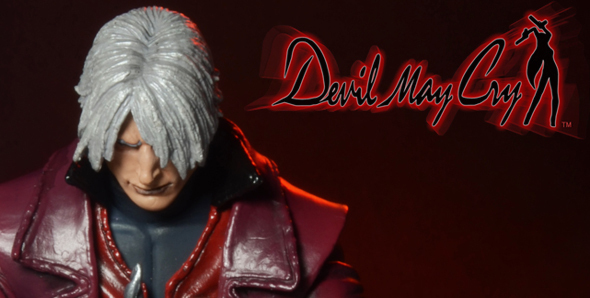 Limited edition — one production run only!